Agriculture created conditions shaping an attractor of efficiency, that enabled the rise of cities, kingdoms, empires and the associated complicated status and command hierarchies and mass exploitation. However, the rise of industrial societies enacted new conditions that began to exceed the efficiency limits at which hierarchies could scale, and therefore driving the development of many new institutional innovations, including institutions creating new constraints on the construction of one’s identity. 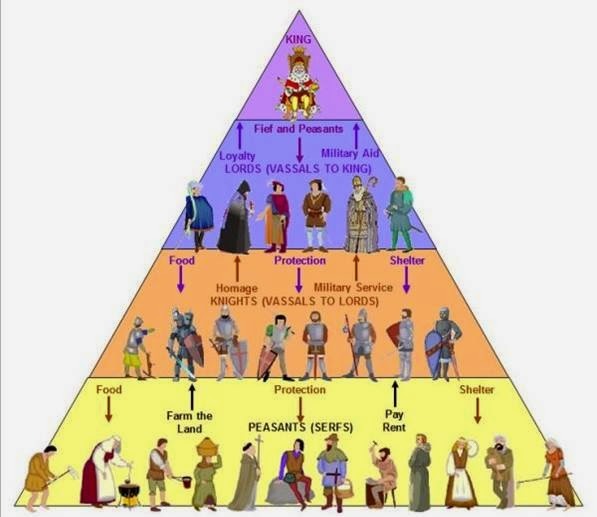 Of course certain types of hierarchy (e.g. large military organizations) weren't dependent on natural limits where the benefit that an additional member can provide (or the organization extract) is less than the cost required to integrate them into the command/accountability structures and processes. In the movement from agricultural to industrial societies anonymity was transformed from social experiences of danger and the breakdown of social fabric (the fabric where one’s identity was rooted in structures, statuses, kinship networks of life within a community), towards experiences of increasing comfort with being an unknown person among ‘others’ who were also unknown persons. Until the adventures of the industrial societies, humans had always lived in small groups (village, tribe, neighborhood) where everyone knew everyone and depended on those in the group for what was necessary for survival – healthcare, education, security. Loss of family and community was equivalent to death. Even as recently as 300 years ago (1700s), overwhelmingly people lived their entire lives within family and small local communities, which provided almost everything necessary for survival. The need to become adapted to, comfortable and fluent with, the experiences of anonymity became a fundamental, new constraint on identity. A constraint that was required for an effective democracy and for an effective market system where efficiency was founded on enacting impartial, impersonal exchange. This ubiquitous change in social conditions (of change) has occurred within the last 200 years. The primacy of reliance on the close ties was replaced with new networks and institutions of the state and market. 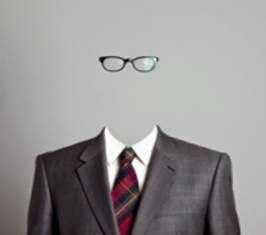 Anonymity in one form or another, is required in democratic systems in order to enable a ‘good enough’ equality that can enable freedom from status, power and influence structures of our communities, organizations and other civil groups (e.g. the anonymous vote). Anonymity is also implicit in the functioning of an effective currency (enables anyone to exchange with anyone regardless of personal background). Anonymity is also an inevitable consequence of an effective market system dependent for its efficiency on impersonal (currency based) exchange – trust shifts from the security provided by reliance on personal networks to the security of provided by a trusted currency & recourse systems enabled by a polis. A true market system is unthinkable without complementary governance systems. The institutionalization of anonymity in a political-economy requires complementary institutions to provide validation or authentication of one’s identity and to provide validation of credentials. Identity theft and impersonation are the shadow or ground of institutionalized anonymity. Today the institutionalization of anonymity finds its most recent incantation in the right to be forgotten, (in some gatherer groups and agricultural societies such forgetting would be equivalent to banishment and death). Institutionalized comfort with anonymity was also necessary in order to reduce the transaction costs of the massive increases in the diversity and complexity of exchange arising from increases in population density that enabled new forms of specialization. The industrial environment, like the agricultural environment, was shaped by an attractor of efficiency that favoured hierarchy (e.g. due to transaction costs) within a certain range of scale – e.g. the firm and the organization (see Coase 1990). However, the continued increase in population and population density also began to shape the conditions undermining the attractor of efficiency of hierarchy, where hierarchy’s efficiencies could not scale. The ensuing shift was toward a new attractor that could enable more complex forms of very large scale social organization – inherent in the industrial democratic and market-based political-economies. The price mechanism was a brilliant innovation, such that when the price was constituted by ‘good enough’ information enabled a compression of the accounting system. Thus, the industrial attractor of efficiency requires a constraint shaping individual identity, in order to enable an appropriately contextual enshrouding anonymity – a requisite form of stripping social fabric to enable impersonal, complex exchange. On the other hand, the emergence of the industrial scale company/organization as a new media invited the old media of social status structures as its content transformed into ranks and occupations ‘ruled’ by siloed fiefdoms of a feudal management regime. The industrial scale company continued to be shaped by an attractor of efficiency favoring hierarchy. There is of course much more that could and should be said – but I hope this is enough to make the essential point. The digital environment if a fundamentally different ‘ground,’ one that appears to be shifting the attractor of efficiency of our organizational architectures away from design principles giving primacy to centralization and hierarchy and toward design principles for architectures of distributed self-organization and hyper-diverse participation. Network and digital technologies (and their exponential advances) have and continue to enact changes in social experience. However, these technologies can’t simply be overlaid onto our existing social, organizational and institutional structures, with the expectations that they will provide the increased efficiencies and benefits. This has become self-evident in the increasing arthritis of many large organizations and bureaucracies that despite tremendous efforts to innovate their processes and technology. The efficiencies of the command-control hierarchy that existed in previous industrial context of transaction costs have been lost with the collapse of these costs in the digital environment. Increasingly rather than being efficient – hierarchical approaches are exacting increasing forms of tax – transaction, opportunity/innovation, trust and more. Jeremy Rifkin in his new book “Zero Marginal Cost Society” suggests that capitalism as we know will be displaced by what he calls a collaborative commons. He’s not claiming that capitalism will be erased, only that it will be contained within a larger economic ecology with many more modes of production. The accelerating pace of change means that not only will people now have multiple jobs – they will have multiple occupations. We don’t know what occupations will be vital in 10 years that don’t yet exist – nor which job/occupations will become obsolete, or become skilled-up or skilled-down. In this context, one figure, in the tectonic shift of ground, is the established reality of the prosumer, the transformation of the consumer into a major source of simultaneous production – hence ‘producer-consumer = prosumer’. In a previous post we proposed that the real ‘message’ (change in scale, scope, pattern, pace of behavior enabled by a medium) of the digital environment (e.g.as discussed above) was social computing. The prosumer, social computing and the rise of the collaboration common are different dimensions of the figure arising from the same new ground. This new ground of the digital environment is displacing the older ground that shaped the architectures of the industrial machine and hierarchical management. Social computing is the capacity to assemble knowledge networks as and when needed. The future now is less about the assigning work to the ‘person in the job’ and much more about connecting the ‘person best able’ to add more value to the work-at-hand. Examples of social computing increase daily but include Wikipedia, Uber, Open-Source movement, FoldIT/eteRNA, and many, many more. The digital ground enables (and therefore demands) an incredible increase in social fluidity and capacity for change. The change represents the shift from a primacy to scaling efficiency based on lowering ‘marginal costs’ which are – as Rifkin points out, approaching near-zero. The digital attractor of efficiency increasingly gives primacy to anything that lowers the costs involved in generating and seizing opportunity. In the landscape of accelerating change and opportunity – by the time an organization has develop an efficient process – it is already obsolete. The need to make opportunity cost the salient focus also ultimately involves replacing the salience on scaling efficiency with scaling learning. A complement to both opportunity costs and the collapse of marginal costs is the rise of marginal value in the digital environment. Roughly speaking marginal value in a network has been noted as an exponential increase that is somewhere between ‘Metcalf’s Law’ (the value of a network is the number of nodes squared n2) and ‘Reed’s Law’ about group forming networks (the value is the number of sub-groups that can be formed within a network = 2n). The domain of exponential marginal value is easily likened to an exponential increase in opportunity. With each innovation, with each new interaction and exchange, arises a new field of affordances – a new field of ‘adjacent possibles’ – a new field of seizeable opportunities. Rifkin’s suggestion that the digital environment is leading the economy toward a collaborative commons – resonates with social computing as the message of this medium. This also suggests that the wealth of the collaborative commons and the digital environment will arise with a focus on generating the increasing returns of positive externalities. The digital economy is a new platform of productivity that enables any creation of value: to be added to; to be improved upon; to be exapted (or pre-adapted) to new affordances; to be combined/re-combined to other forms of value – all and any of which can enable exponential increase new value and therefore should also be enabled to receive reward. Thus the future is not about the continued imposition of inappropriate industrial models of wealth creation, nor about ubiquitously imposing models based on the management of scarce resources and/or artificially induced scarcity. In the digital environment the future of wealth depends on an enabling transparency and openness that can harness a capacity to increase value related to non-rival, abundant digital products, ideas and experiences. This trends is evident in the inherent capabilities of the informational atmosphere (the emerging ‘air of Big Data we will soon be inhaling-exhaling everywhere/always’), which is enabling new forms of measurement. Measurements which in turn is also enabling the recognition and revealing of new types of value in forms that can be quantified, stored, and transformed into an exchangeable media. An easy example lies in emerging ideas of personal Brand and reputation economics. This suggests that the previous constraints upon identity that required an isolated, atomistic, anonymous individual for the industrial economies may no longer be adequate to the emerging economies of the digital environment. The idea of 'owing one personal data as private property' may be a drastic barrier to 'wealth/value' creation in the digital environment. For example – I am having a conversation with a friend - each of us is wearing Google Glass (or something like it). Each of our outputs has always been but is now a recorded part of the other person's personal experience. Who owns the data of the conversation? For me to own my 'personal data as private property' in this conversation (and all markets are conversations, etc.) would require a sort of 'appropriation' of my friends personal experience of me. And in turn I would have to be stripped of the personal experience of my friend in order for my friend to ‘privately own’ their personal data. But the real value in and of the conversation, arises as a result of the conversation being more than the sum of our individual inputs. It would be near impossible to ascribe the ‘social capital’ arising through the conversation to any one person. In essence – the conversation generates more value than each of us can and do, bring to the conversation or that each of us could generate with our own private data. 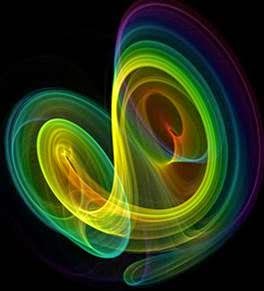 Thus, the new narrative is not the narrative of an isolated, atomistic self - but rather an emerging narrative of a dynamic social and co-created being - I am only because We are. The more socially connected I am - the more chances I have of becoming/realizing a truly unique self. The more chances I have of exploring new behavior and enabling my ‘mirror neurons’ to absorb new ‘others’. An apparent paradox. The cryptographic 'ownership' of personal data could very well make it impossible to scale the co-creation of value to more holistic levels of unforeseeable, unpredictable second/third-order levels of positive externalities and spill-over-network effects. What this seems to point to is a trajectory toward the displacement of anonymity as a source of security within a political-economic system or as a primary means of enabling fluid value exchange. It's not as if 'privacy' is dead (especially if we define as the right to protection and non-interference) but anonymity as the requisite condition for functional social-economic fabric is becoming a barrier. The problem is that anonymity as the media of industrial society continues to be perceived as the natural 'content' of the digital environment. Until our institutions develop the requisite trust in the process (rather than in 'authority') we will continue to think anonymity is a source of protection. 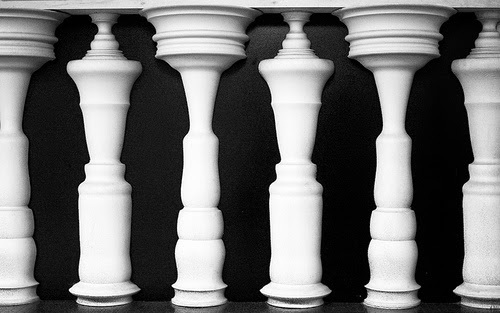 In some senses the identity is integral to the institutions of hierarchy (status, rank, occupation, etc.) provided every individual a form of stigmurgic symbolic information about their history and capabilities. It won't be long before the whole of a person’s personal history, competencies, talents are displayed in a virtuality enabled by RFID/Near Field Readers augmenting our perceptions of reality. The digital environment is enabling an unprecedented freedom of opportunity and exploration that feeds the development and experience of a hyper-personalization. The emerging ubiquitous hyper-dense information atmosphere is obsolescing anonymity and in a sense retrieving an identity imbued with a new tribalism. A paradox, where the hyper-individual is ever more socially inter-depended because of their embeddedness in a multi-dimensional social fabric that is the ground of an ever more massive distributed exchange. In relation to the issues of identity, two concepts can help us to imagining future constraints. 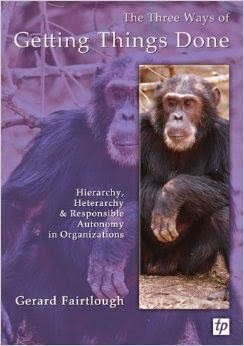 In his book, “The Three Ways of Getting Things Done” Gerard Fairtlough describes responsible autonomy. Given that autonomy means self-organization and governance – responsible autonomy means an accountability for the outcomes of self-organization. This seems paradoxical – a sort of connected or ‘social’ autonomy, that involves at minimum monitoring in order to sanction poor outcomes and adapt/evolve good outcomes. Responsible autonomy is also consistent with a shift to an ‘Agent-Forum’ accountability framework enabled by a type of radical transparency. 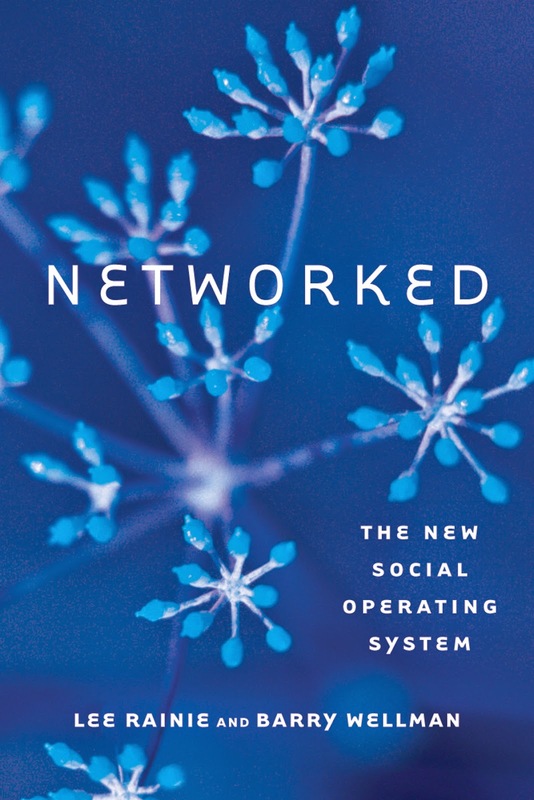 In “Networked: The New Social Operating System” Barry Wellman (and co-author Lee Rainie), establish ‘networked individualism’ as a new social operating system. They go further by presenting research indicating that the foundation of the individual in the digital environment now includes networks of close and loose ties and more significantly with the rise of social media, that everyone now has audience(s). For anyone engaged in social media the notion of having an audience may seem self-evident. Another way to understand audience, is by considering what the implications of proposal for establishing a form of universal reputation capability. To have and depend on reputation is by definition to have a form of audience. The rise of ubiquitous audience and/or reputation economics retrieves a form of tribal constraint on identity – creating a form of self-consciousness about the future social consequences of our behavior. To provide just one example of the shadow of reputation/audience, is the case of employers searching the social media profiles of potential hires. This is but one example the idea of personal brand (which by definition requires an audience to make sense of the concept). Thus personal brand retrieves the constraints of the small town identity as an unchanging status/role/character. However, the concept also creates a cognitive dissonance – a deep contradiction with the requisite industrial anonymity, which has been used as armor and security blanket. With advent of the industrial society anonymity was feared but now we can't conceive of a society without it - we use it as a defence against the constraints of the small town and its looming threat of the ‘scarlet letter’ implications. Media are rife with similar examples of harm arising because of transparencies and have generally been used to support calls for preserving some form of privacy-as-anonymity. Such concerns about privacy are certainly serious, and raise two important questions: 1) Will privacy-as-anonymity provide the protection it did in industrial conditions? 2) Will the constraint of anonymity on identity provide the adequate support to a digital economy (based not on scarcity of goods but on an abundance of increasing returns, network effects, and exponential marginal value). The next blog post will continue the exploration of the constraints of social fabric on identity through both these questions.